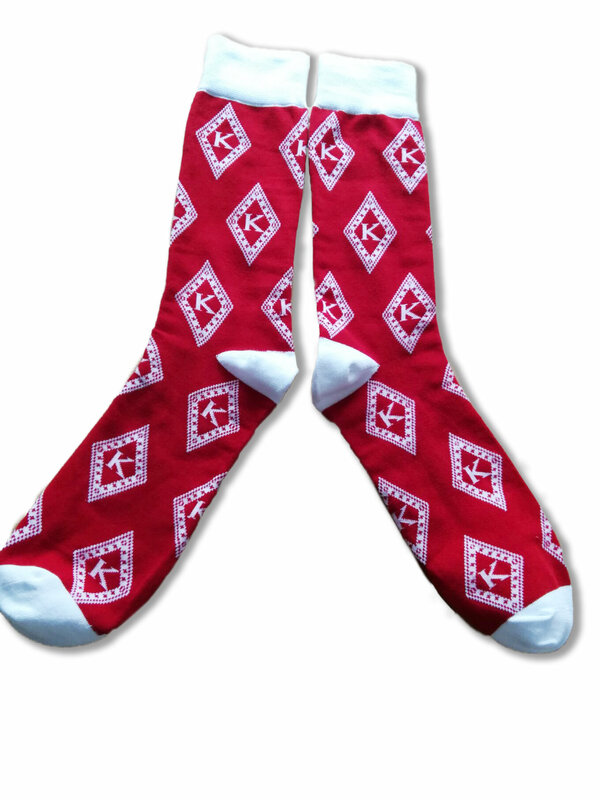 The Custom sock was designed for the person that Loves Crimson & Cream! The design is for a size 9 - 14 foot. Socks will be available on May 1, 2018.